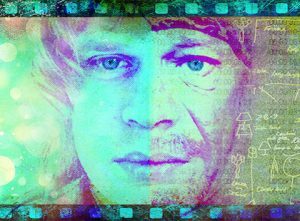 “The remarkable, untold story of Leon Vitali who gave up fame and fortune to serve for decades as Stanley Kubrick’s right-hand man.” Leon Vitali gave up his career as a promising actor (he appeared as “Lord Bullingdon” in Barry Lyndon and Victor Frankenstein in Terror of Frankenstein) to become the right-hand man of legendary film director Stanley Kubrick. Directed by Tony Zierra, Filmworker offers a fascinating glimpse of Vitali’s exhausting (and frequently thankless) role as Kubrick’s personal assistant for more than two decades. Filmworker not only features interviews with Vitali and his family, but also the likes of Ryan O’Neal (Barry Lyndon), Danny Lloyd (The Shining), Matthew Modine and Lee Ermey (Full Metal Jacket), Marie Richardson (Eyes Wide Shut) and others. If you have any interest at all in the life and works of Kubrick (or filmmaking in general for that matter! ), you must see Filmworker!